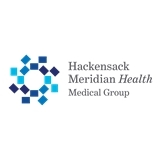 HMH Medical Group Primary Care, West Long Branch (West Long Branch) - Book Appointment Online! This visit was very nice. I was forced to find a physician due to unforeseen circumstances. The doctor, nursing staff and front office staff was more than welcoming me into there practice. I will recommend this doctor and practice to others thank ya. This was my first visit. The front desk receptionists were kind and helpful, the nurse/technician introduced herself and explained everything she was going to do. She was kind and made me feel at ease. Dr. Maniar was professional/informative, explained his assessment and plan. I was at ease the whole time. Would definitely recommend.